Huge Cyber Monday And Tuesday Sale at TpT! Who doesn't love a sale, especially if it makes our lives as teachers a little easier during the holiday season (and beyond)! Teachers Pay Teachers is having their annual Cyber Monday and Tuesday Sale... all you need to do is shop and enter the code CYBER at checkout to get some great deals! We are hosting a linkup for all of the stores who are going to be 20% off during the sale! These are guaranteed savings for you! So load your cart up and enter the code! Happy Shopping! Kevin Henkes Author Study Lapbook! I am so excited to get to share with you an awesome unit from Krista (a.k.a. Teaching Momster). Honestly I had never used lapbooks in my classroom before. 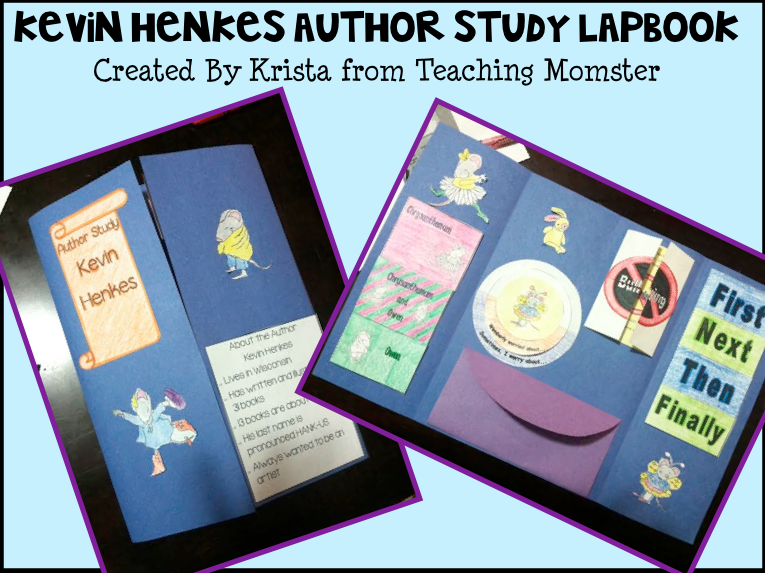 A lapbook is basically a mini-book that includes anything from graphic organizers, vocabulary, writing, timelines, graphs, illustrations and more that fits on a paper that fits in the lap of the child. I have to say after completing this activity I am a HUGE fan of lapbooks. When we do author studies or topic studies it always driving me C-R-A-Z-Y that there are different papers laying around here and there throughout the week. Also, you don't always need a whole sheet of paper in order to accomplish your task and with lapbooks you can use just a quarter of a sheet of paper to do a quick comprehension activity. 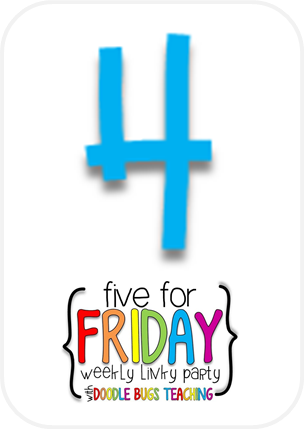 How awesome is it that at the end of the week your students will each have a super cool lapbook that reviews and shows everything they learned about a topic? 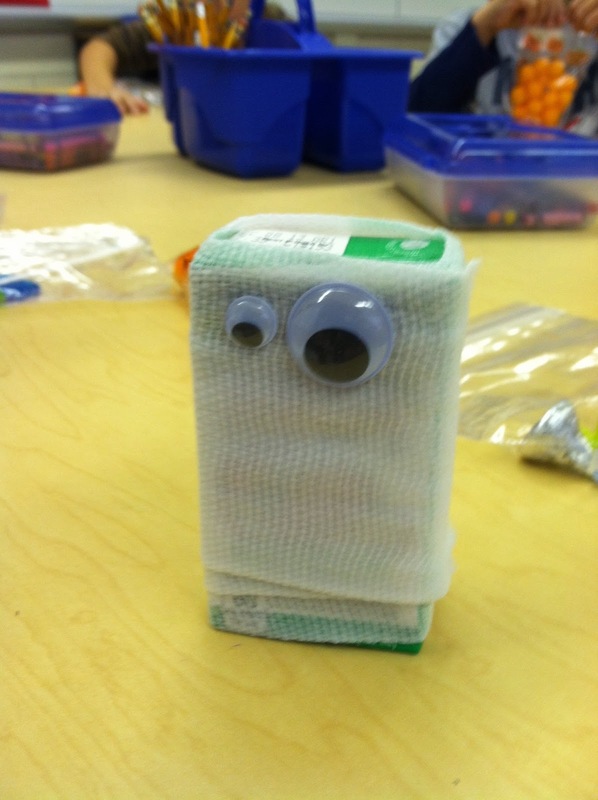 Here is a picture of her lapbook completed. Can you just imagine the pride your kids will have when they are able to show off a whole week's worth of activities and learning experiences right in their lap? 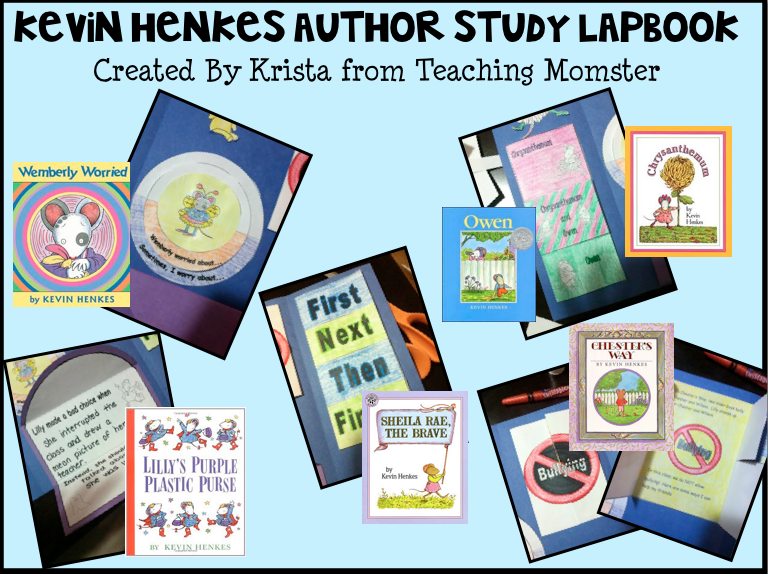 You can pick up Krista's "Kevin Henkes Author Study Lapbook" unit along with 20 other amazing units over at Educents. This bundle is marked down over 70%! Grab it up before it's gone! Year Round Resources Bundle....with a chance to win! 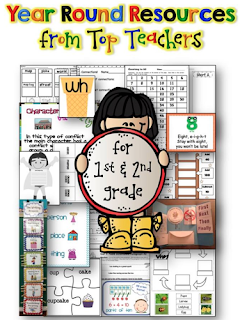 I am so excited to be part of this amazing bundle at Educents! 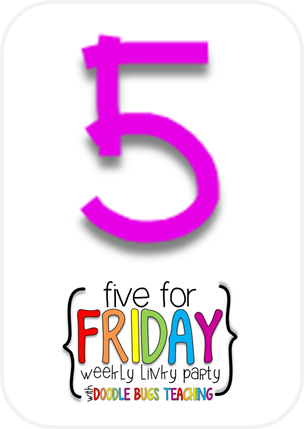 Some awesome blogging and TpT friends have gotten together to make an all year resource packet! There are TONS of great packets that are included in this deal. The best part is that they are resources that you can use throughout the year! I know you will love my Ladybug Study Unit. Ladybugs are so easy and fun to take care of and to learn about. I have studied ladybugs both in the spring and in the fall in my classroom. We even found our own ladybug larvae on the playground this fall. The kiddos LOVED studying, observing and learning about the ladybug life cycle. Also included in this unit are some literacy and math activities to tie Ladybugs into your entire curriculum! 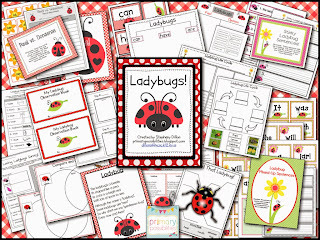 Life Cycle Printables, Venn Diagrams, Graphic Organizers Label a Ladybug, Ladybug Observation Booklet, Poems, Sentence Editing, Measuring, Graphing, Sentence Unscramble, Real and Nonsense Sort.... the possibilities are endless! Click HERE to go grab it up before it's gone! There are many other products in our bundle to get your kids learning! Centers, printables, vocabulary, book studies, interactive notebooking and so much more! But that's not all! Since you are on my blog I would like to give you a chance to win something extra for free! Please follow me or pin something or shout it out on FB and enter to win any item from my store! Good luck! The deal won't last long so head over now! This week I have been teaching real and fantasy in my Reader's Workshop. 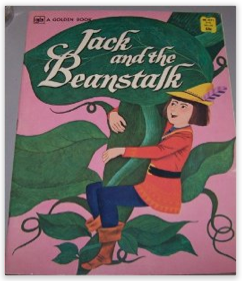 I started the week by reading Jack an the Beanstalk. There are several versions out there, but my favorite version is the one pictured below. 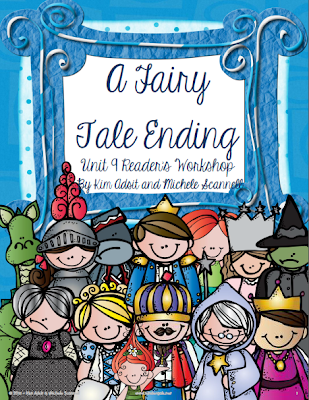 I also used Kim Adsit's Fairy Tale Reader's Workshop Unit. It is fabulous!! I am saving the remainder of the unit for May. Week one in the unit was perfect for teaching real and fantasy. 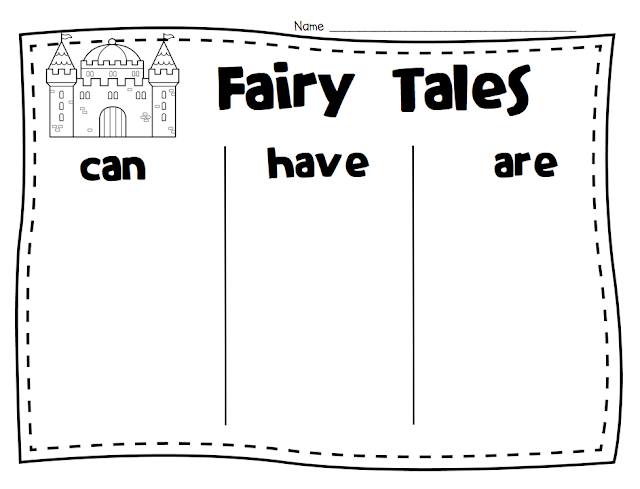 Week one focused on introducing fairy tales with an emphasis on characters and setting. 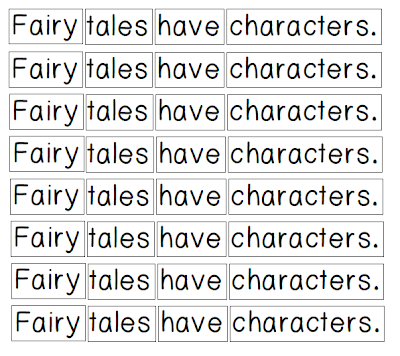 I have included the cut-up sentences as a freebie. Just click the picture below. I have also included a "can, have, are" freebie to use. 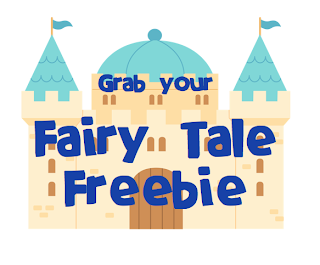 If you plan on teaching fairy tales soon, grab your freebie below. 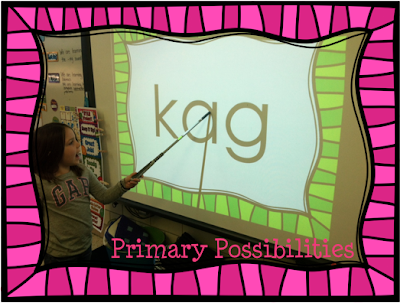 Finally, I created an emergent reader text focusing on the same sight word... have. You can pick up your copy at the link below. The link will take you to my TpT store. 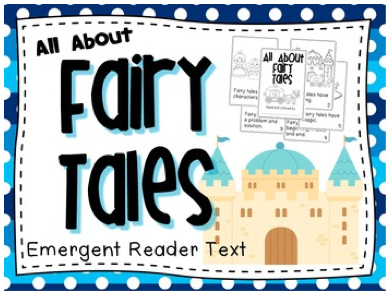 All of the clipart that I used in teaching my fairy tale unit this week was purchased from Little Red's TpT store. Well, I think that is all I have. Happily Ever After!! 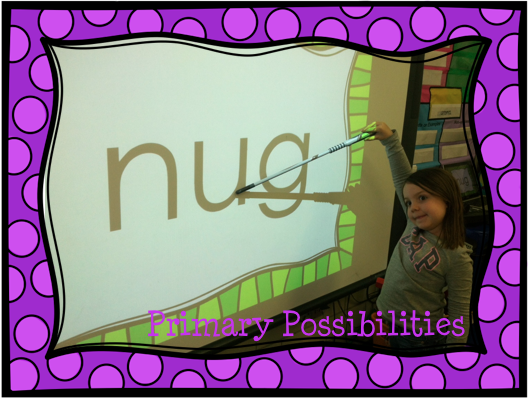 I am always trying to find ways to practice nonsense words and sometimes there just isn't enough time in the day to fit in a sort or a quick printable. 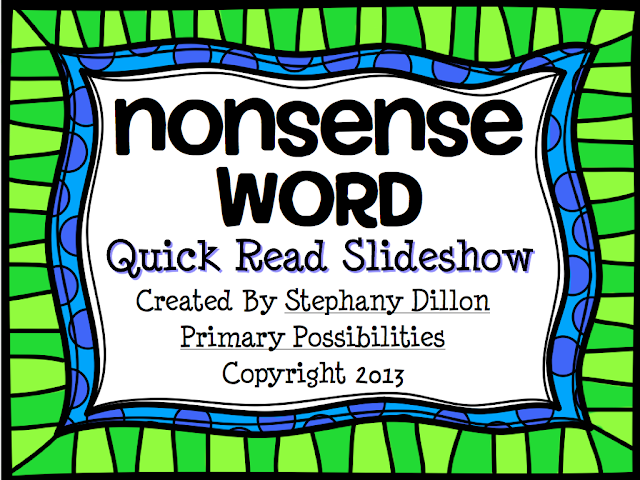 I came up with this fun slideshow to challenge the kids and mix it up a little. I change the speeds between the slides to challenge the kids. 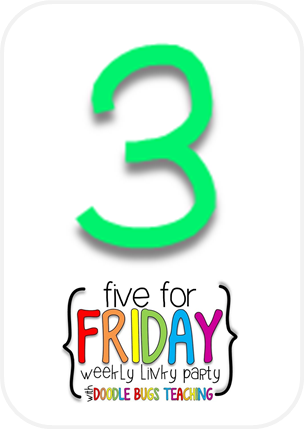 You can use this with the whole class on a Smart board, in small groups on a computer, or with individual students during intervention time. It is a great last minute time filler for those moments when you need something quick but meaningful! 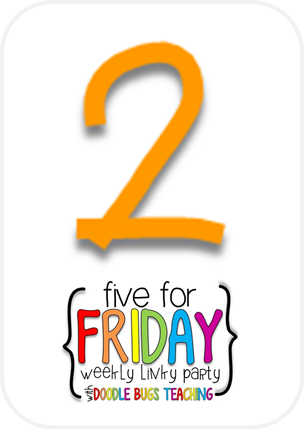 Click on the picture below to download the slideshow from Google docs. The frame clipart can be purchased here from Creative Clips! 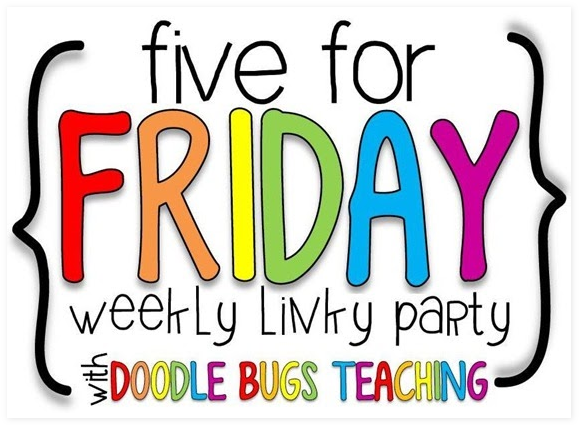 I am linking up with Doodle Bugs Teaching for Five for Friday Linky. There is no better way to start of the week than with new shoes!! I got these fabulous Speery's while outlet shopping this weekend. I'm a sucker for a sparkly shoe. This was the fortune that I got when I had Chinese for lunch on Wednesday...while at school! It was so funny and I had to share with my principal :) Hmmm....wonder if I get to choose my new line of work. 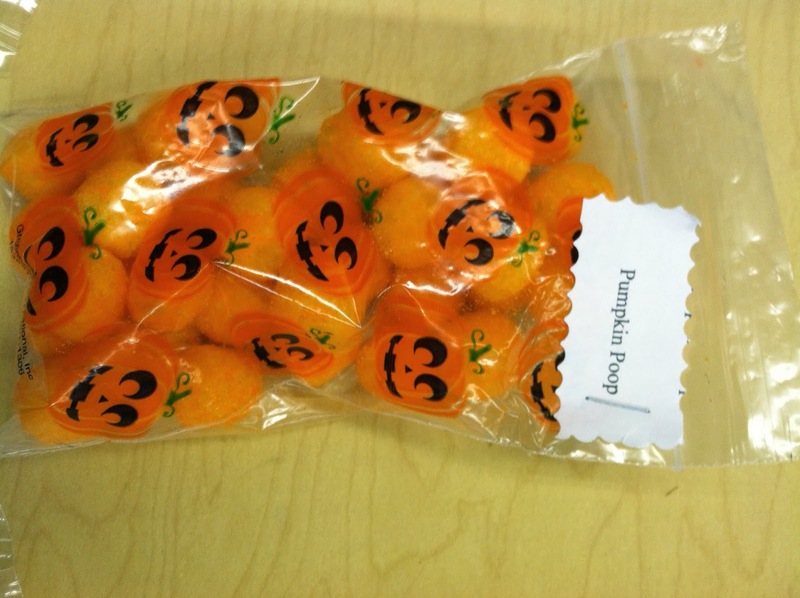 Speaking of Halloween...look at the treats that a parent made for Stephanie's class. 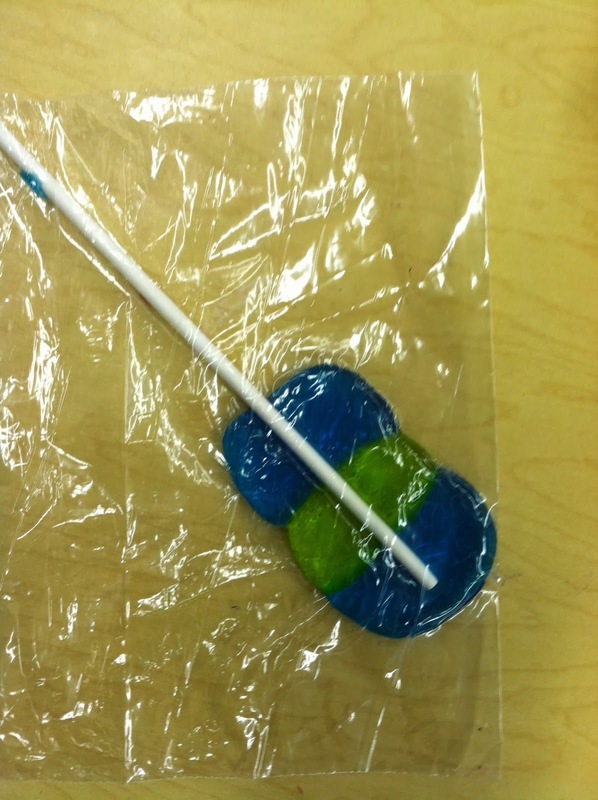 I have to admit that this mom is in PTO with me and brought me a sucker before she left. It was delicious! These are the treats I made for my son's class. Unfortunately there were only enough for his class so I did NOT get to eat one of these :( bummer! But his teacher informed me that they were delicious. I have recently changed positions at my school. I don't really have a new 'title' yet, still just Lead Title I Teacher, but now my job is data, data, data! 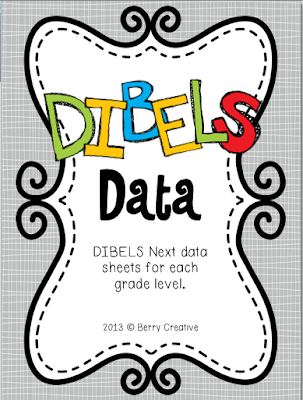 I created this to help me track DIBELS Benchmark and Progress Monitoring data. 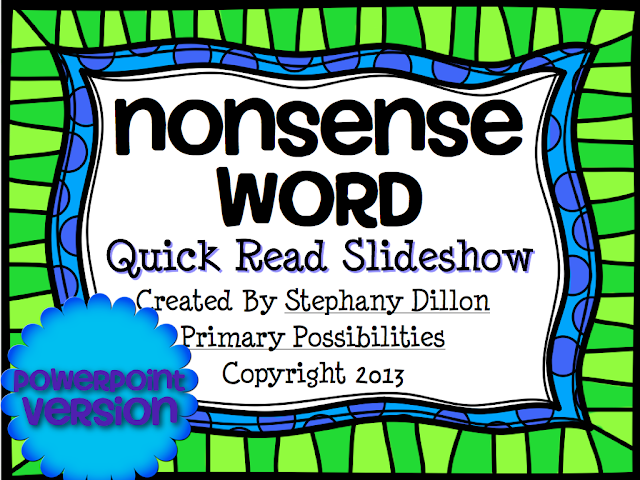 It is up for FREE in my TpT store. Go grab it up! I hope you have a great weekend...and survive the dreaded day after Halloween!